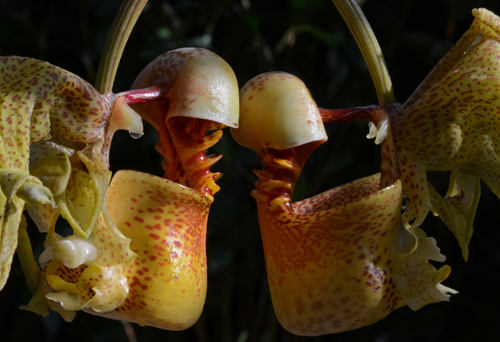 The Fuqua Orchid Center is a garden of surprises. 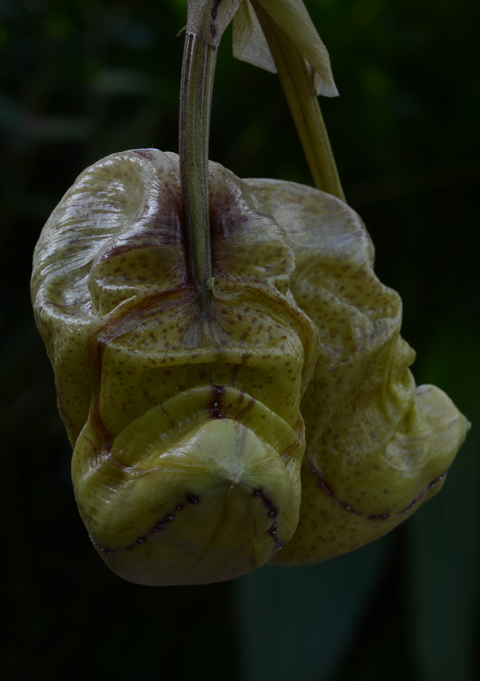 I walked into the greenhouse early yesterday morning and came face to face with the pinched and furrowed face of a Coryanthes macrantha (Bucket Orchid) bud. The light was dim and I think I jumped. For sheer bud awesomeness, nothing beats Coryanthes. 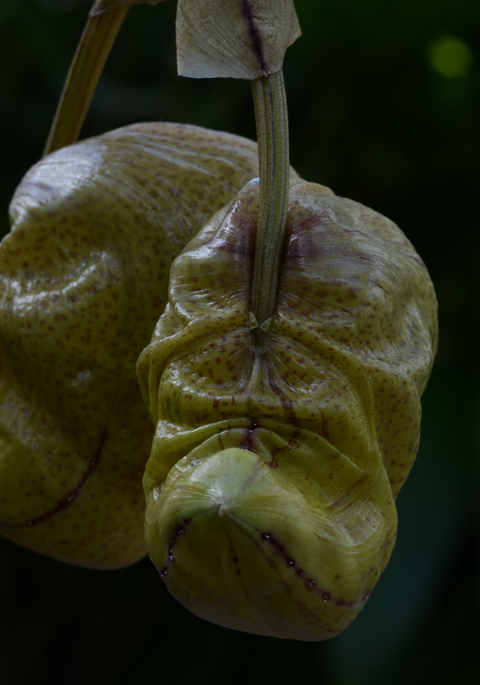 A Coryanthes labors for weeks to produce two enormous buds. Those buds become the most riveting objects in the entire greenhouse. What's inside? 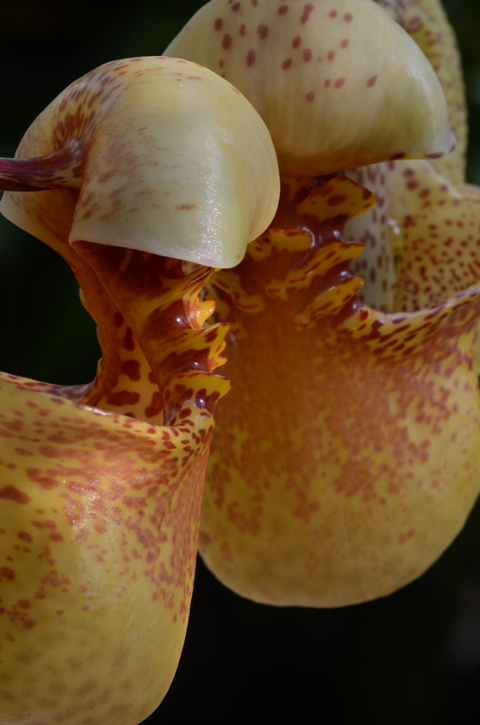 You can see Coryanthes macrantha on display this week in the Fuqua Orchid Center's Orchid Display House.